- The Prague Castle is founded around 880 by prince Bořivoj of the Premyslid dynasty. - and Methodius, the "apostles of the Slavs". - Foundations are laid to St. Vitus Rotunda and the Vyšehrad Castle. - The Prague bishopric is founded in 973. - and the German king. 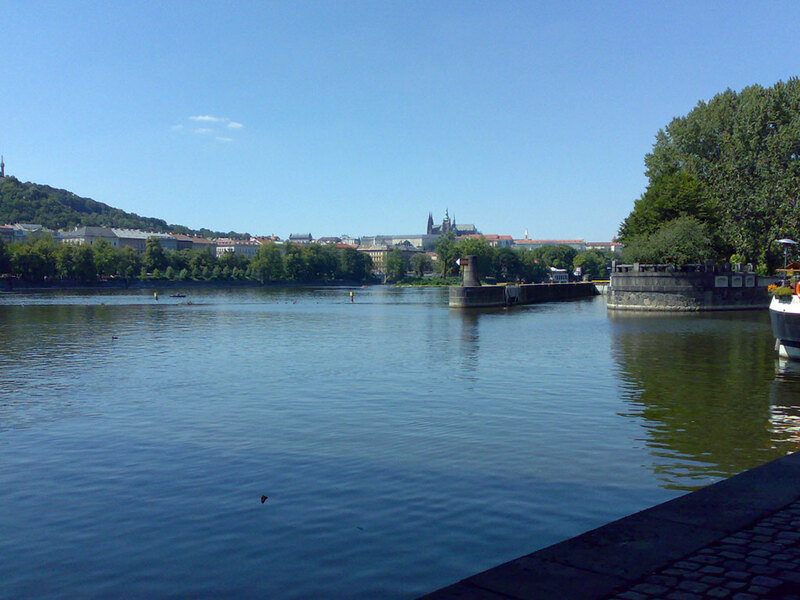 - The first stone bridge over the Vltava, Judith Bridge, is built in 1172. 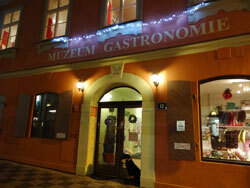 - The Old Town (Staré město) is founded in 1231. - The Lesser Town (Malá Strana) is founded in 1257. - John of Luxembourg rules the country (1310-1346). 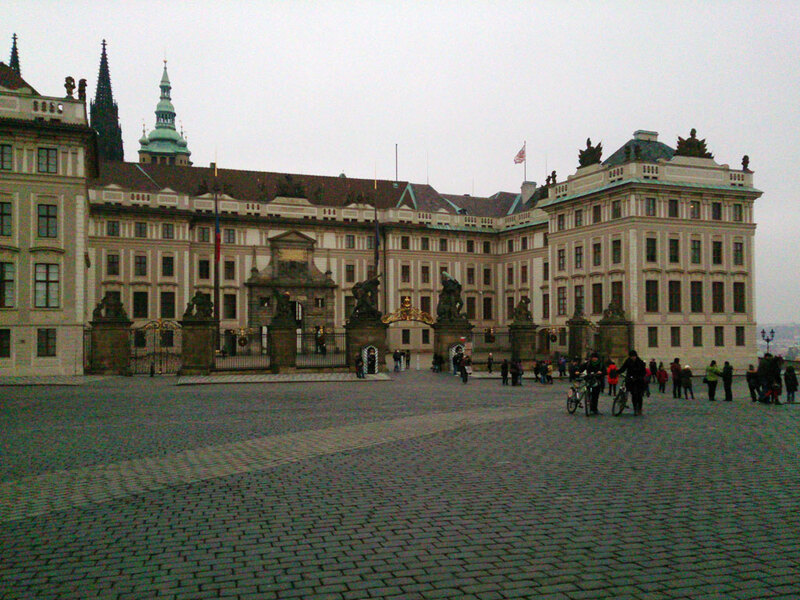 - The Prague Castle Area (Hradčany) is founded around 1320. 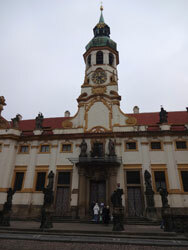 - The Old Town Hall is founded in 1338. - Judith Bridge collapses in a flood in 1342. - Charles IV rules the country (1346-1378) and will be remembered as the most beloved Czech king. 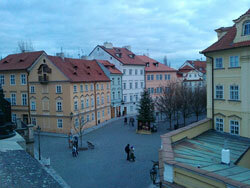 - The Prague bishopric is upgraded to an archbishopric. 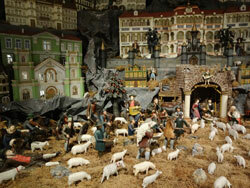 - Construction of St. Vitus cathedral begins. 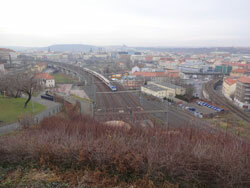 - The New Town (Nové město) is founded in 1348. 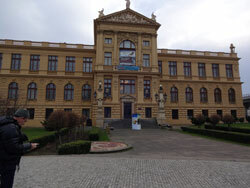 - Charles University is established in 1348 and becomes the first university in Central Europe. 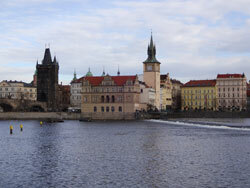 - Construction of Charles Bridge begins in 1357. 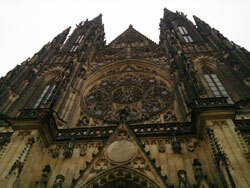 - the Prague Castle deteriorates. - The reign of the Habsburg dynasty begins in 1526 and the seat of power moves to Vienna. - The Protestant uprising begins in 1618. - Protestants are severely defeated in the Battle of the White Mountain (bitva na Bílé hoře) in 1620. - The Dark Age of the Czech history (doba temna) begins. - Prague loses importance and the Prague Castle deteriorates. - united by Joseph II in 1784. - A Czech nationalist movement called the National Revival (národní obrození) begins in 1784. 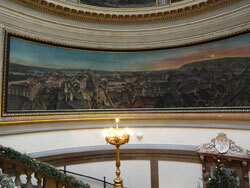 - The Czech language, culture and national identity are being brought back to life. - The Industrial Revolution begins. 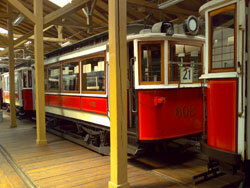 - A railway between Vienna and Prague opens in 1845. 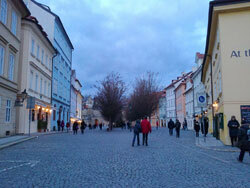 - Josefov is added to Prague's historical center in 1850. 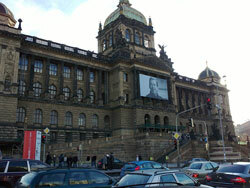 - and culture: the National Theater opens in 1868, the National Museum opens in 1890. - Prague Castle becomes the seat of the first president of Czechoslovakia, Tomáš Garrigue Masaryk. 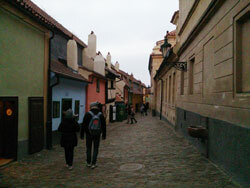 - Prague becomes close with Paris between WWI and WWII. 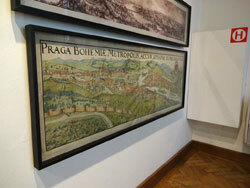 - Prague and the rest of the country are occupied by Nazi Germany during World War II (1939-1945). 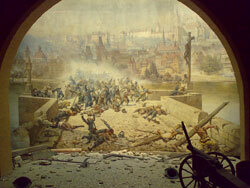 - The Prague Uprising and liberation by the Soviet Red Army end World War II in 1945. - The Communist Party seizes power after the February 25, 1948 coup d'etat. - face", culminating in the spring of 1968 ("Prague Spring"). - The Velvet Revolution starts in Prague on November 17, 1989 and brings an end to communism. - Czechoslovakia becomes a democratic country. - 1993. Prague becomes the capital of the Czech Republic. - Václav Havel is elected first president of the Czech Republic in January 1993. - The Czech Republic joins NATO in 1999. - In 2002, the Czech Republic is approved to become a member of the European Union. 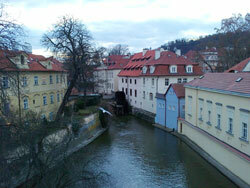 - The Czech Republic is accepted into the European Union on May 1, 2004. 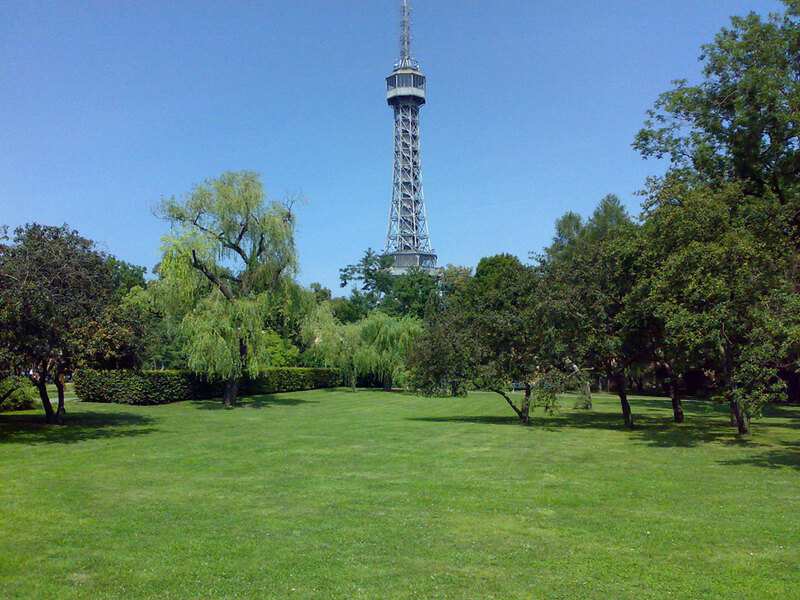 This can be classified as the main sight of the city. It is the largest ancient castle in the World according to the Guinness Book of Records, covering an area of 753473 square feet (70,000 m2) with a measure of 1870 feet (570 meter) length and 426.5 feet (130 meter) width. It is something more than a castle, though; it represents the first settlement and city boundaries since its perimeters were the original “city wall” (a palisade). 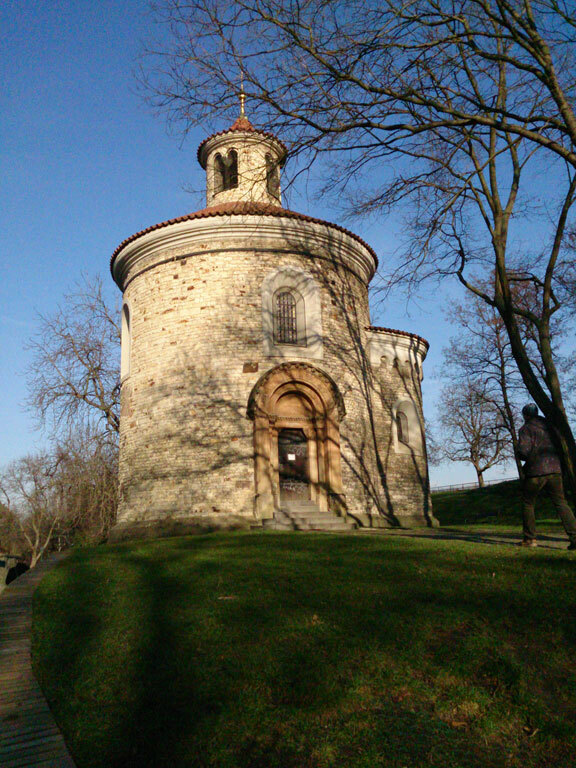 The forerunner to the St. Vitus Cathedral was also constructed around this time and was a small rotunda of a similar style as the St. Martin at Vyšehrad. The original settlement was gradually redeveloped into a castle complex and the St. Vitus basilica, a much larger temple replaced the rotunda and was kept in existence until the final design came into being, namely the cathedral of today, which took approximately 600 years to build. The castle is now the home of the president but there are several areas, which are opened for tourists such as the Vladislav Hall with a unique gothic interconnected vaulted roof of a type that is also reconstructed in the Dresden Rezidensschloss. A very interesting museum dedicated to the development of the castle complex is highly recommended; it also contains different pieces of the older structures and walls, which is a fascinating glimpse back in time. Bazilika svatého Jiří (St. George's Basilica, Prague) and Klášter svatého Jiří (St. George's Convent, Prague), it is the oldest surviving church building within Prague Castle. It is recommended to purchase a visitors pass, which include as many of the sights as possible, since it means a package price and the ability to get to see the most important parts, which is manageable during a day. 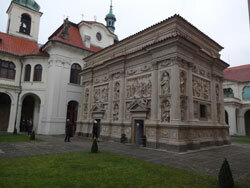 One detail to note is that the Treasury of St. Vitus is a separate admission; it isn’t included in the regular passes for the rest of the sights. The gardens are beautiful during the summer and are worth a dedicated visit since they offer a combination of style, elegance and relaxation. Year 870 – The first building on the spot is being constructed: the church of Virgin Mary (now a ruin). Year 920 – emperor Vratislav and his son St. Wenceslas found the basilica of St. George. 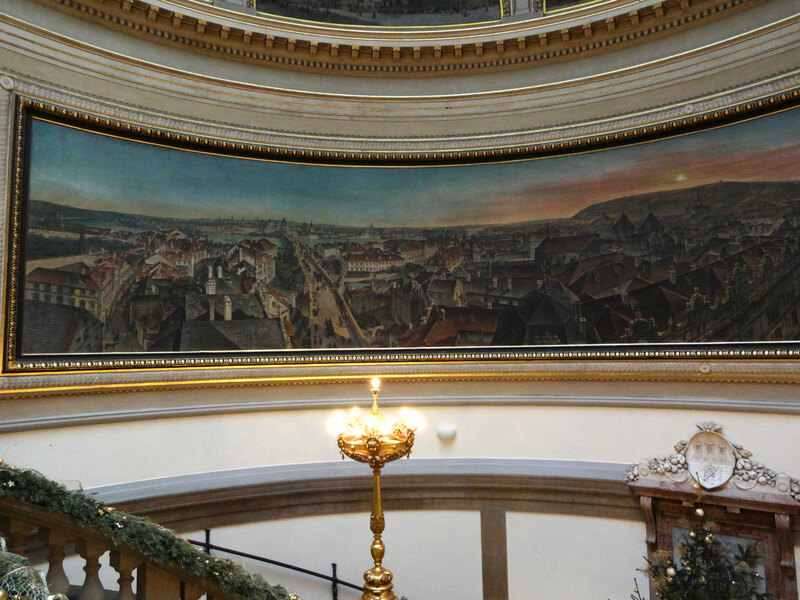 Year 930 – The St. Vitus rotunda is constructed. Year 973 – The basilica of St. George is reconstructed and enlarged. Year 1060 – The St. Vitus rotunda is deemed too small and the construction of the St. Vitus basilica are initiated by prince Spytihněv II. 12th Century – A Romanesque royal palace is constructed close to the basilica of St. George. 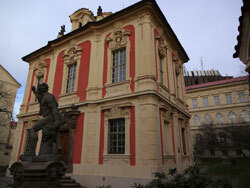 14th Century – Charles IV reconstructs the palace in gothic style and strengthens the fortifications of the castle. Year 1344 – The gothic cathedral of St. Vitus is founded on November 21; it replaced the older basilica from 1060 but will take approximately 600 years to finish. Year 1485 – The castle had been disused after the Hussite wars but was now being reconstructed by King Ladislaus II Jagello starting this year and involved the construction of the Vladislav Hall and new defense towers on the north side. Year 1541 – Large parts of the castle is destroyed by a disastrous fire, which initiated a reconstruction effort where renaissance buildings were added such as the Belvedere, constructed by Ferdinand I as a residence for his wife Anne. 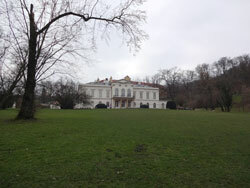 Rudolph II had his main residence here during his reign and expanded the complex with the northern wing of the palace where the Spanish Hall is located (dedicated to his art collection nowadays). Year 1618 – The second Defenestration began the Bohemian revolt, which also resulted in damages to the castle during the resulting wars. Year 1648 – Swedes loot a lot of works from the Rudolph II during the final part of the 30 Year War in connection with the battle of Prague. 18th Century – Empress Maria Teresa is performing the last major rebuilding of the castle. Year 1848 – Former emperor Ferdinand I makes the castle his home after the abdication of Maria Teresa and the succession of Franz Joseph to the throne. Year 1918 – The first president of the new Czechoslovak Republic, T.G. Masaryk make the castle his home. Year 1929 – The St. Vitus cathedral is finished and is inaugurated in its fully constructed state on September 28. Year 1939 – Adolf Hitler spend a night at the castle, enjoying his new possession after the country has been “handed over” to the Germans by President Emil Hacha (which suffered a heart attack during the negotiations). Year 1941-1942 – Reinhard Heydrich is installed at the castle during the German occupation as a “Reichs Protector of Bohemia and Moravia” and is attacked by Czech resistance soldiers on May 27, 1942. He dies from his wounds a week later, which prompted the destruction of the village Lidice including the execution of its population as an act of punishment. Heydrich put the Bohemian crown on his head when he was installed at the castle; the legend states that a usurper who does this will be dead within a year, which then happened exactly as predicted. 1948 – The new communistic government is installed at the castle. 1968 – During the Prague Spring, people want to install Alexander Dubček as the new president but intervention from the Soviet Union ends the whole process of moving toward a more liberated political system. 1993 – Czechoslovakia is divided into the Czech and Slovak Republics and the castle becomes the seat for the new government; President Vaclav Havel take necessary steps for renovating the complex. 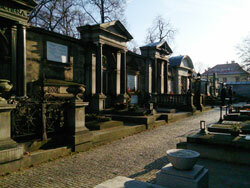 This is a very important place in Prague and is most famous for the Peter and Paul cathedral with the cemetery for famous Czech’s, which include the graves of Antonín Dvořák, Bedřich Smetana, Alphonse Mucha and many others. 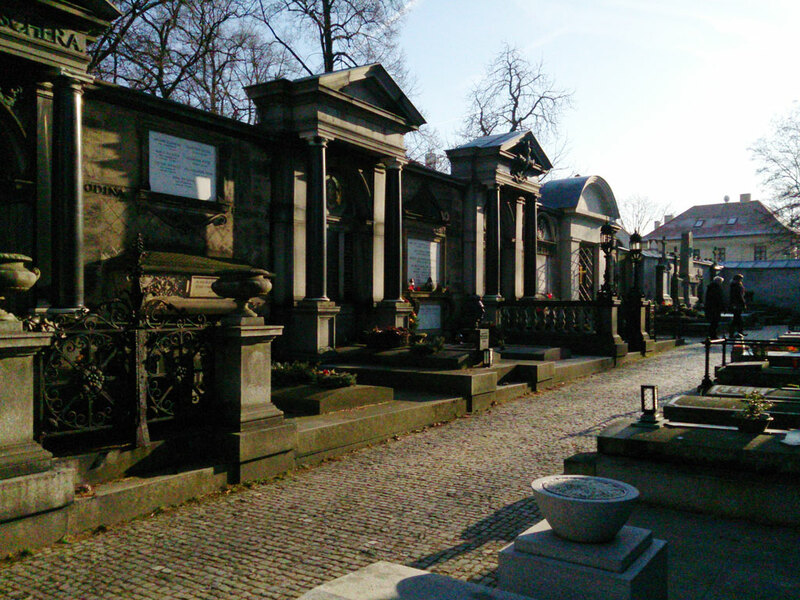 It is a very calm environment and many of the resting places are opulent and elegantly appointed, particularly the grave of Dvořák. 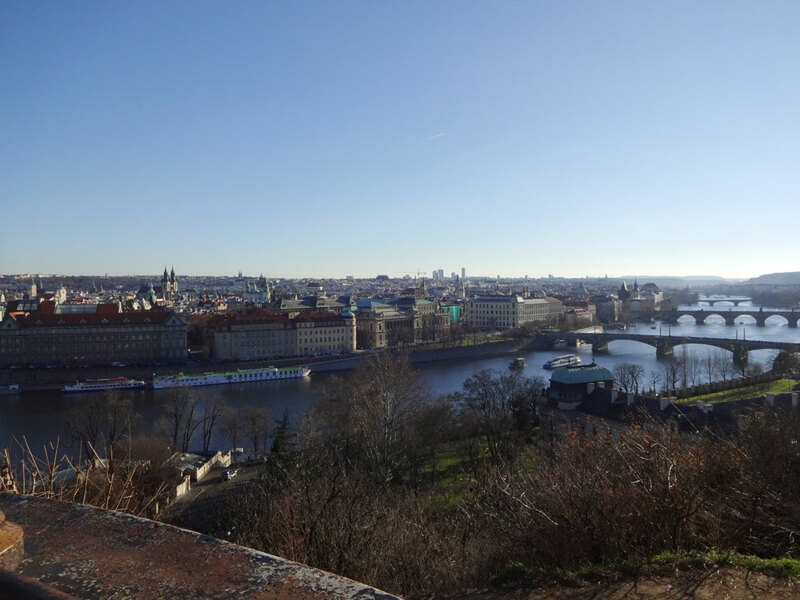 Vyšehrad is also a beautiful park with spectacular views over the city with the Vltava River, Nusle, Prague Castle and Vinohradý, which make it a great alternative to the Petřin Park for a relaxing walking tour. It is recommended to take the Metro and then walk to the church followed by a trip down the stairs toward the riverbank, where the streetcars are operating. 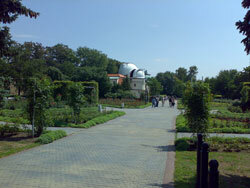 The park offer different points of interests including the oldest preserved building of the city, namely the Rotunda of St Martin, a Romanesque structure very similar in styling to the original St Vitus Rotunda, which makes it an interesting glimpse back toward the humble forerunner to the cathedral of today. 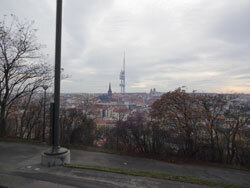 As the fortifications prove, Vyšehrad was originally a castle and a local legend states that the first settlers of Prague selected this very spot even if facts have been unable to prove this point. During the medieval ages, the two castles on each side of the river represented opposite spheres of influence and the most important era for this “second palace of power” reached its highest point during the second half of the 11th Century when Vratislav moved his seat from the Prague Castle to Vyšehrad. During this period, the original fort was remodeled with a new palace of residence, church and seat of chapter but this upswing ended in 1140 when Prince Soběslav moved his seat back to the Prague Castle. 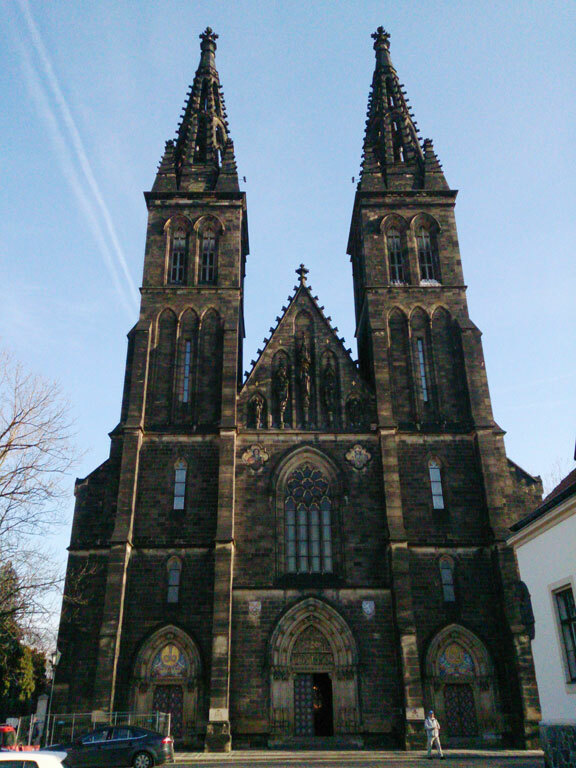 During the 1400s under Charles IV, Vyšehrad was abandoned as the royal home even if later improvements to the fortifications and the construction of a new palace were made during his reign. After the Hussite wars and the attack of King George of Poděbrady, the castle fell into disrepair and became a ruin, which were renovated and reconstructed first in the 17th Century under the Habsburg dynasty; 1654 became the year when it was finished as a baroque fortress serving as a training center for the Austrian army. The Peter and Paul cathedral underwent several reconstructions and design changes during the second half of the 14th Century and the current neo-gothic version were created between 1885-1887. The former style was more interesting since the church was an almost symmetrical structure without a tower, partly looking like two churches put together while the latest redesign brought a classic look to it. Nowadays, the park is also a popular place for New Years Eve celebrations (Silvestr in Czech). 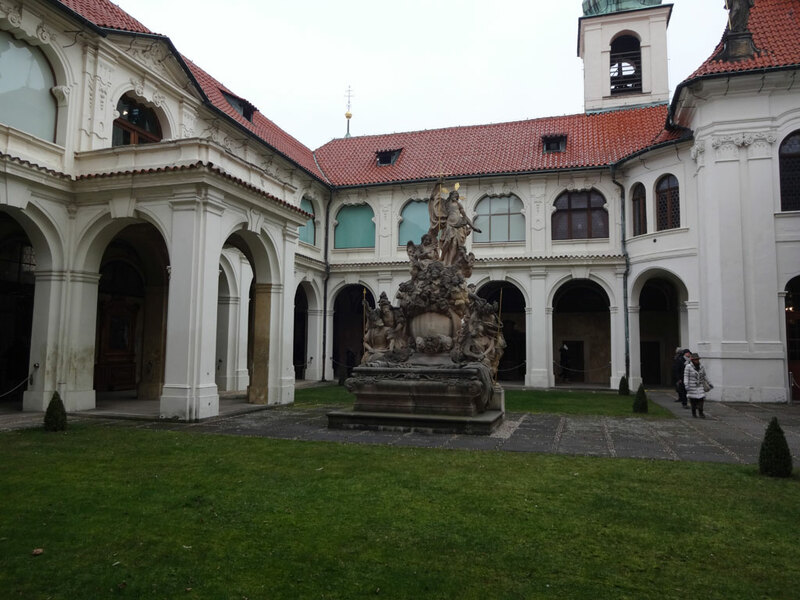 This cloister is one the major sights of the city and also an important place for pilgrimage and provides an interesting architectural experience with a lot of interesting interiors, artifacts and paintings, including fascinating pieces on the renovation of them. The initial construction started in 1626 and the Holy Hut was blessed on March 31, 1631. The cloister parts were added during the following fifty years and a second floor was added in 1740. 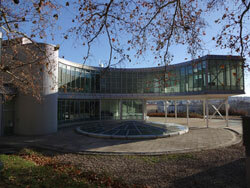 The architect Giovanni Orsi designs the complex in Italian style. The peal, which consists of 30 smaller and larger bells, is one of the most famous parts of Loreta and it has been heard regularly since August 15, 1695. A clockmaker, Peter Neumann created it in 1694. 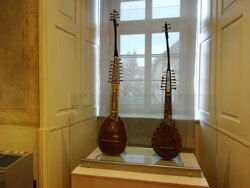 The main exhibitions are dedicated to treasury and its preservation; special exhibitions are also held. A visit to this park is highly recommended. It offers excellent views of the city and also a couple of interesting attractions that were part of the 1891 Industrial Exhibition. The recommended itinerary is to take the funicular from Újezd to the top-level station and to walk up to the Petřínská Rozhledna (Petřin Tower), which is a small copy of the Eiffel Tower. It has a very similar design but is just 200 feet/60 meters high; the interesting detail is that the main viewing platform is on the same level over the sea as is Parisian forerunner due to the height of the hill itself (800 feet/240 meters). The tower is recently restored back to its original glory and provides two ways of reaching the top: by stairs or elevator. A small café is available at the entrance level. 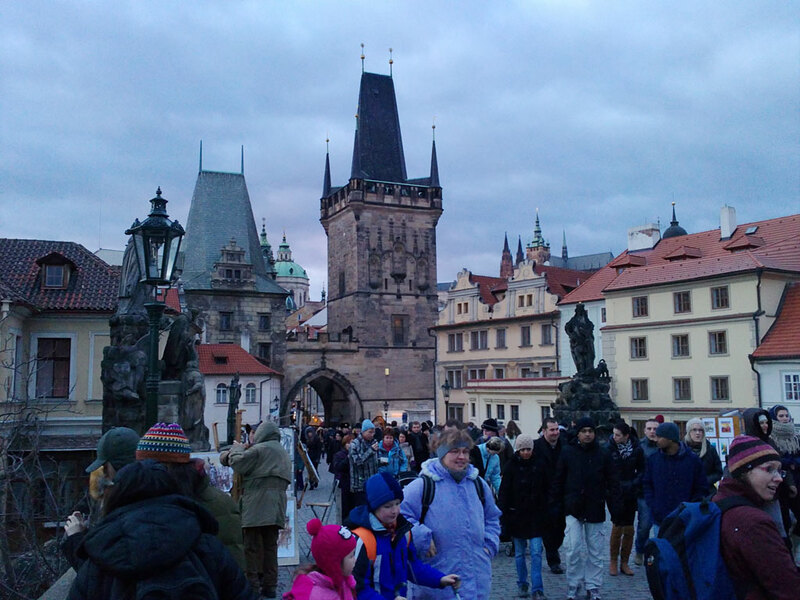 A short walk from the tower is the Mirror Hall, which offer a fun walk through the different mirrored corridors with an ending at the diorama over the battle of Prague and the Charles Bridge with the Swedes during the 30 Year War. It is a fascinating item to look at and provide a decent glimpse of the dramatic history of the city. There is also an observatory located close to the funicular station, which also mark the direction for a long and relaxing park walk. By following the path past it, it is possible to walk through the area while gradually descending. Some interesting and little known ruins exist along this path; one of them is a former restaurant, which were a part of the Industrial Exhibition but later disused. There are other ruins close by, also with a similar connection and they provide a nice opportunity for urban exploration as a nice addition to the visit. 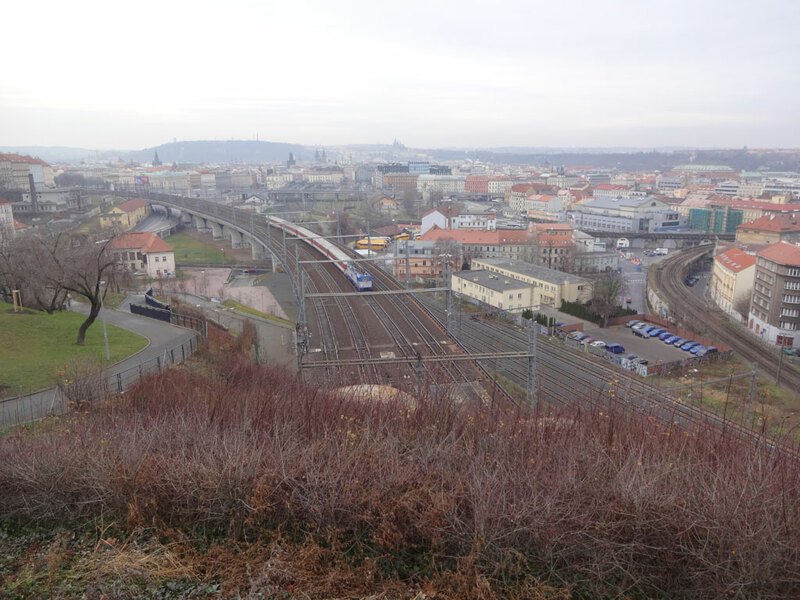 The southbound trail, which leads to those ruined buildings, ends at the Ethnographical Museum and a visit there paired with something to eat and drink at the café make a nice grand finale to the walk. 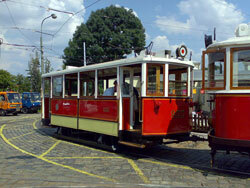 Another place related to the Exhibition is the Nebozízek Restaurant to the left of the middle station on the Funicular. It provide a great view of the city and is worth a visit for the historical purpose but also because the building is intimate itself. There is another restaurant accessible from this station, namely the Petřin Terrace, which can be reached by walking to the right from the funicular. It is a summertime place to have a beer and something to eat while enjoying the panoramic view of the city. Directions: Tram 6, 9, 12, 20 or 22 to the Újezd stop. The most eye-catching part of this hill is the statue of Jan Žižka on his horse, overlooking the city toward the Prague Castle. It is an important historical monument since he won the battle against the Holy Roman Empire and Hungary in 1420 on the very hill, which came to bear his name. This achievement was honored with the third largest statue of the type, which was inaugurated in 1950 and placed on this very prominent position. 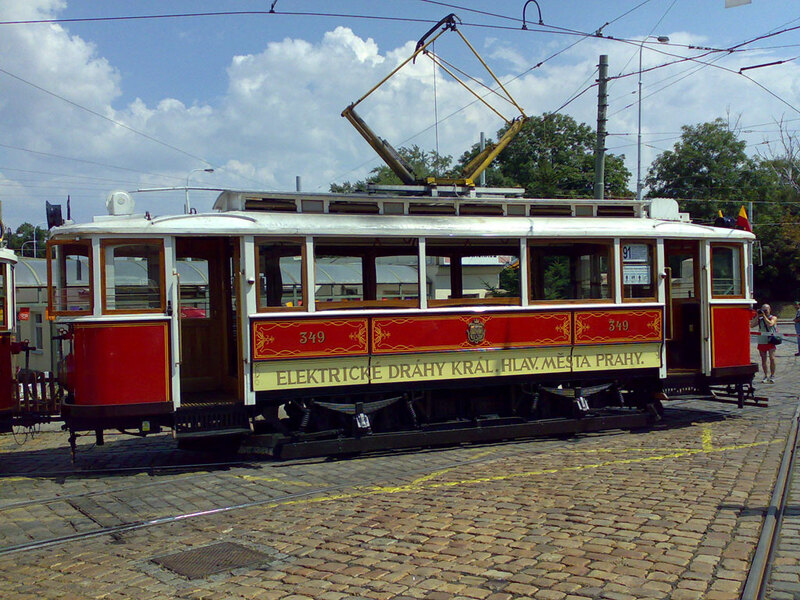 The recognition of his victory was also the reason behind the renaming of Vinohradý 1 to Žižkov in 1877. An initiative to construct the monument began in 1881 and was led by Karel Hartig, the first mayor of the town and the process continued until World War 1, when the plans were abandoned for the time being. 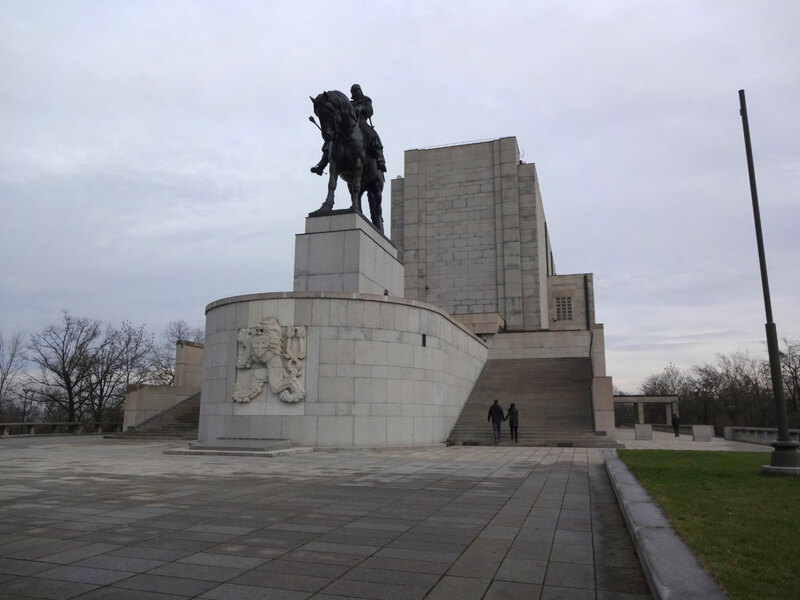 After the war, a competition was held regarding the design of the resistance monument and the winning design called for two buildings, which were accepted and the construction began in 1928 when president T. G. Masaryk put the first corner stone in place. 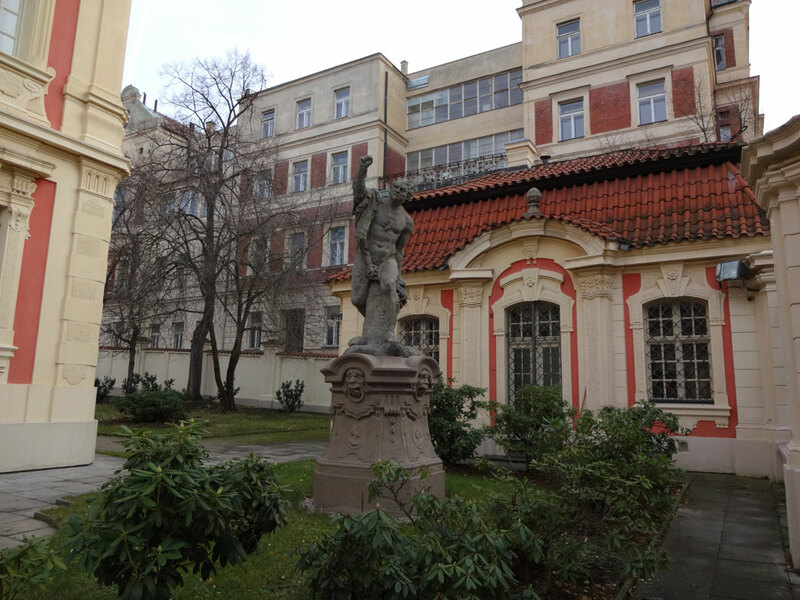 The upper building behind the statue later became the mausoleum of Klement Gottwald and acted as such between 1953-1962. 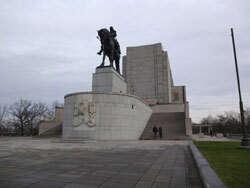 Nowadays, it contains the National Memorial and the tomb of the Unknown Soldier together with other exhibitions and were totally renovated and reconstructed between 2000-2009. 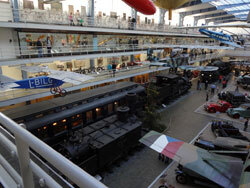 The lower building houses the Museum of Military History. 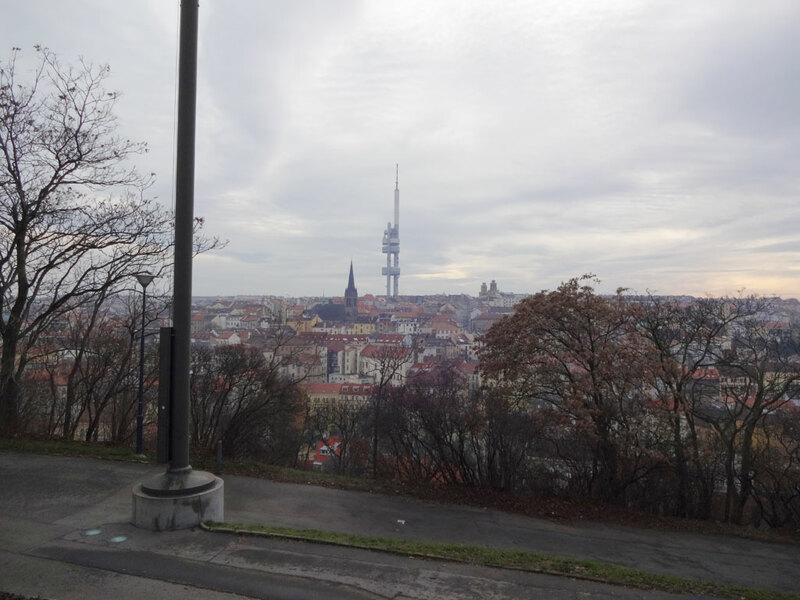 The Vítkov park is a nice place to walk even if it is much smaller than Petřin and it offers great views over the city from a very different angle. The shape of the hill makes it a good option to take the streetcar to Biskupcova and then walk from there and then descend the steps to the Museum of Military History and then continue back to the city center, which is close. 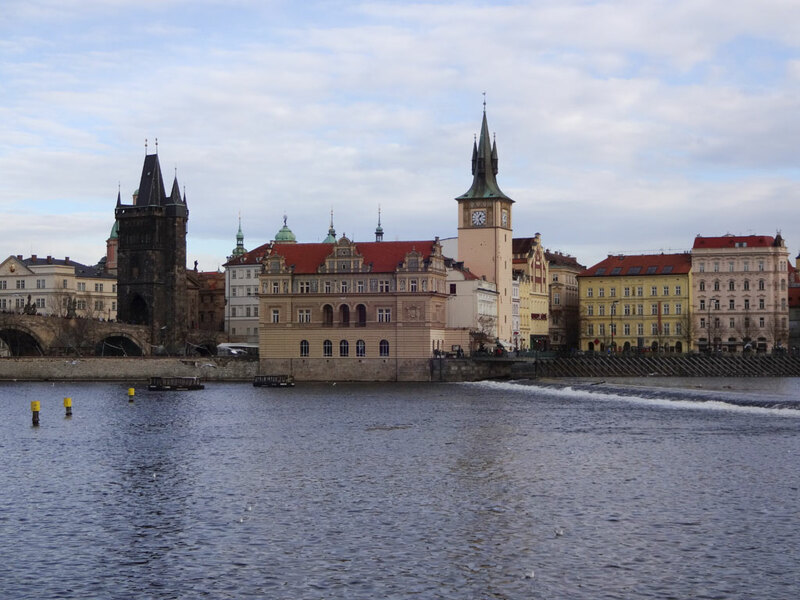 It is highly recommended to seek out this calm and romantic place of relaxation, which is the small Kampa Island, located below the Charles Bridge. Despite its proximity to the crowded areas, there is nothing of the sort here; the ambiance is soothing instead. A tour of the city center and a walk over the bridge toward the Mala Straná is a typical itinerary that would benefit from a detour here. The small island offers a park, wonderful views of the Charles Bridge and also a small water powered mill. 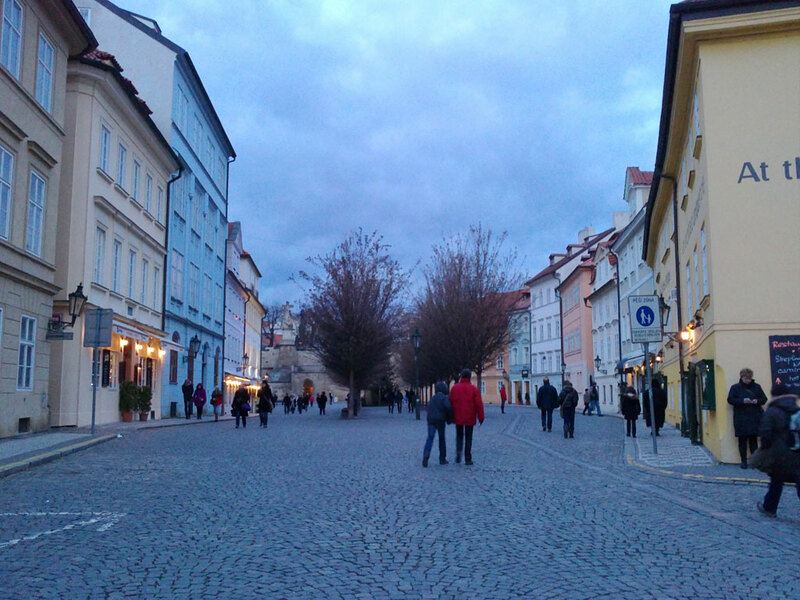 A few restaurants and cafes are available and offer a calmer atmosphere compared to other alternatives in the area. 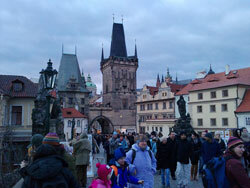 Directions: Cross the Charles Bridge and take the stairs down to Kampa on the Mala Straná side of the river. 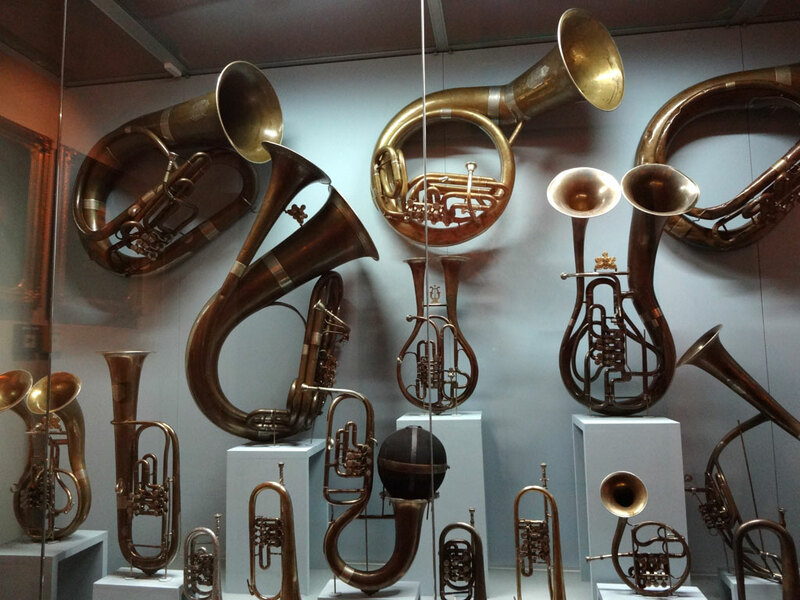 This museum offers an impressive collection of musical instruments including very unique pianos with dual keyboards and a large amount of different unique violins. There are also interesting exhibits of the development of waltz and other traditional styles from the Austrian-Hungarian era beside Czech folklore and its evolution. 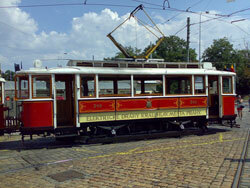 The location is convenient in Malá Straná and is easy to reach by streetcar. Directions: Subway A, station Malostranská. 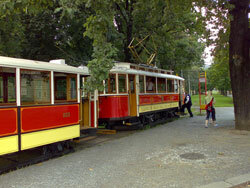 Tram 12, 20, 22, or 23, station Hellichova. 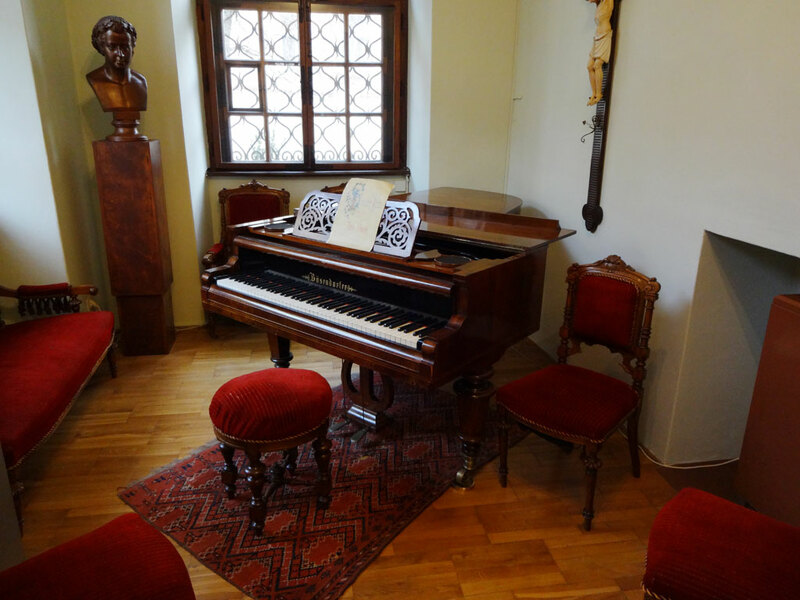 Everyone interested in the history of this great composer must visit this beautiful, small museum housed in a very elegant villa from the early 18th Century designed by the Czech architect Kilián Ignác Diezenhofer. The house has no particular connection to Dvořák himself but is a great environment where his instruments, including his Bösendorfer piano is on display together with original scripts and his history of life. There is a small gift shop selling excellent Czech recordings of his music together with books and other items such as decorative artifacts. 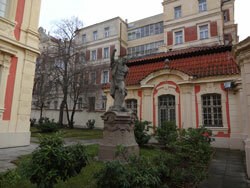 Outside of the museum is a small garden with statues from the workshop of Matyáš Bernard Braun. Directions: Subway C, station I.P. Pavlova. Tram 4, 6, 10, 22, or 23, stop I.P. Pavlova or Štěpánská. 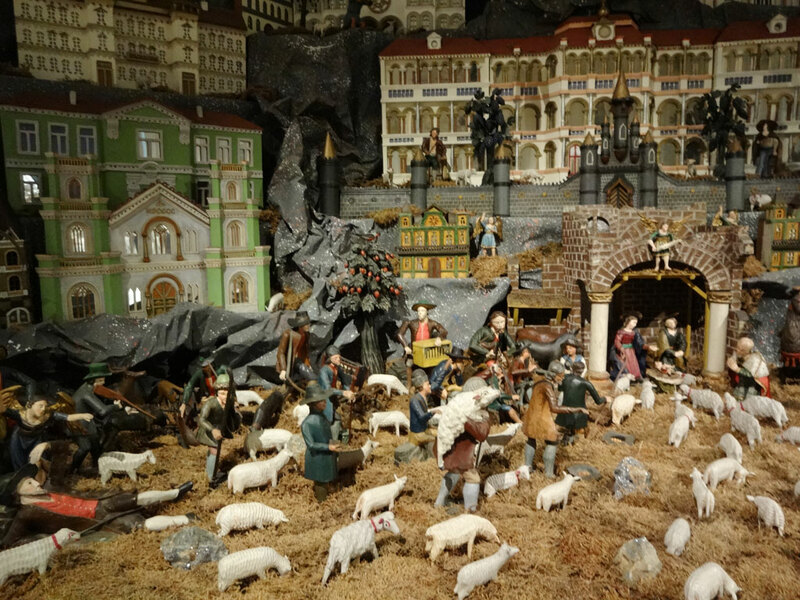 This museum, dedicated to the other main composer of the country, is located in a very beautiful Neo-Renaissance building, originally housing the Old Town Water Works. 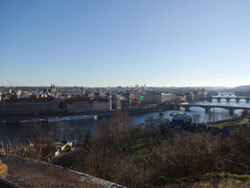 The location is stunning, immediate at the Charles Bridge with a fantastic view over the Vltava River and the castle. 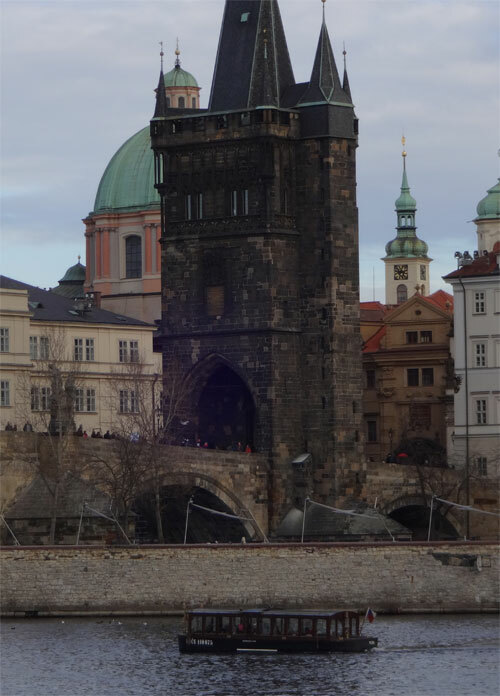 The architectural conception of the structure is enhanced by rich sgraffito decoration designed by Mikoláš Aleš and František Ženíšek (important Czech painters of the 19th century) related to the battles of citizens of Prague with the Swedes on the Charles Bridge in 1648. The permanent exhibition from 1998 is covering the whole life of Smetana and includes many interesting artifacts such as original instruments, musical notes, documents, personal artifacts and also a section dedicated to his years in Sweden. 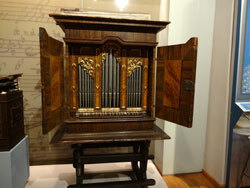 Another interesting feature is the possibility to listen to his music, which can be played on visitor discretion. Directions: Subway A, station Staroměstská, Tram 17. 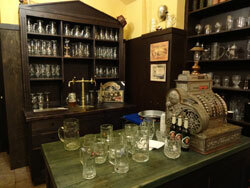 Everyone interested in Czech folklore and culture from Bohemia, Moravia and Silesia is recommended to make a visit here. The museum is located in the beautiful Pálac Kinských in the Kinských Garden and offers a very rich collection of clothing, artifacts, tools, paintings and more showcasing the typical life of people and how the national culture evolved. 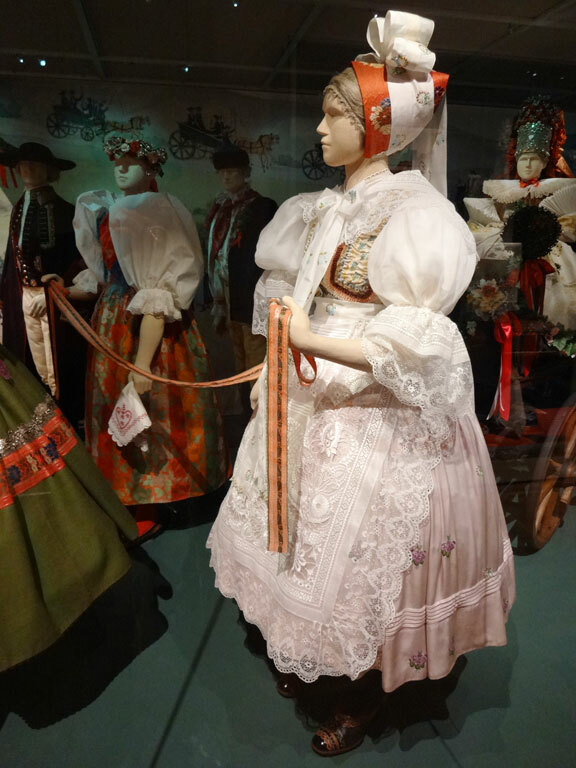 Many beautiful folkloristic dresses are on display and a small, romantic café with garden view is available, which is a great place to unwind after a walk in the Petřin Park paired with the visit to the museum. Attached to the museum but located in the park is a very unique wooden church dedicated to the Saint Archangel Michael constructed in the 17th century, which was moved from Ukraine in 1929 and reassembled in Prague. Its architecture is very typical for the period but has also some similarities to Scandinavian wooden churches like those existing in Norway today (the stave churches of Heddal and Gol). 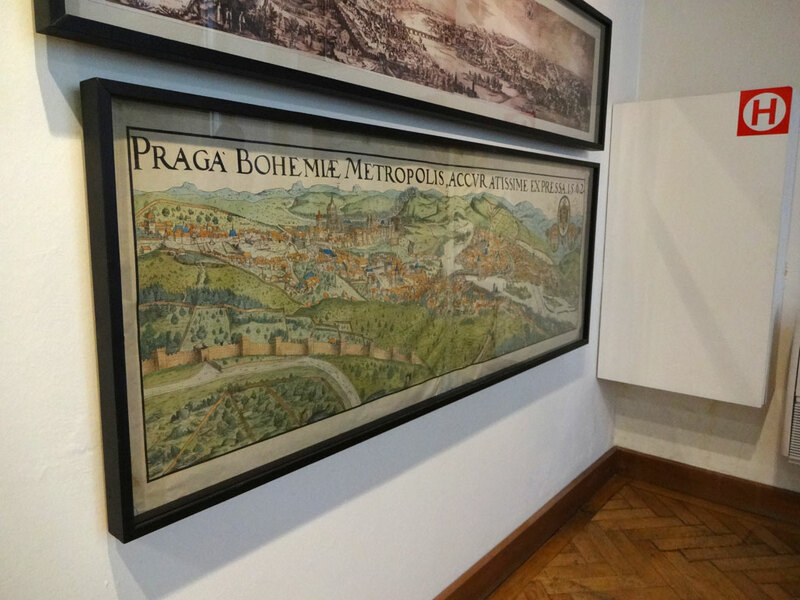 The Prague City Museum provides a very interesting collection of artifacts, models and exhibitions covering the whole development of the city. A very important highlight is the 3D movie that is showing the city how it looked like before the reconstruction of the Jewish quarters in the 19th Century. There is a very detailed model of the city showing the former layout with all buildings, which has been digitized and transformed into street level videos, thus enabling a unique insight in the city structure and a fascinating comparison with the layout of today. The redesign process involved the creation of the Pařišzka Street and the construction of new buildings and the introduction of an airier streetscape in the area. The whole project was heavily debated back then and the model and 3D movie is a very important historical document, which enable people to go back in time and study the before and after moments. A visit to the museum is not complete without seeing this part of the exhibition. The last Wednesday in the month extended: open until 8 p.m. 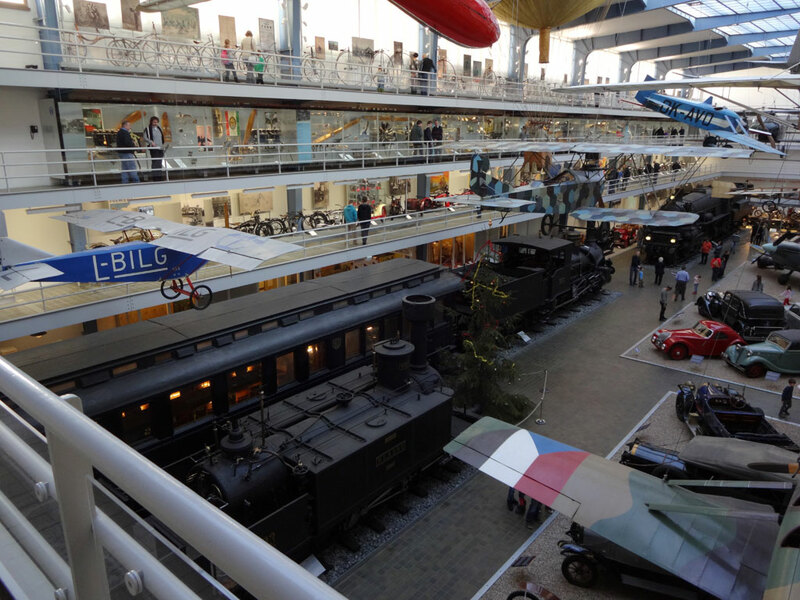 The National Technical Museum offers a great exhibition of everything from cars to TV broadcast equipment to printing presses and also mining machinery including a complete iron and ore mine. There are also sections on aviation and shipping, which include a rare model of the German liner Imperator (later to become Berengaria for Cunard Line). One of the special items on display is the train of the Kaiser Franz Joseph and also a BMW 003 jet engine from WW2 together with Tatra T77 and T87 streamline cars of the 30s. The room dedicated to the development of printing is a must-see since it offer a complete collection of equipment for all parts of the process from manual type-setting to computer based direct-to-plate preparation. 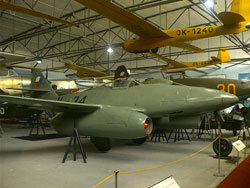 Different special exhibitions are often in place, providing a deeper insight in particular subjects. The museum was closed for renovation during a long time but is now open again with an improved layout and more space, making it easier to study and photograph the different artifacts. The National Museum is currently closed for renovations but special exhibitions are provided in the former government palace to the left the main building at Vaclavské Naměstí. The regular exhibitions are not available here due to the space constraints; only special exhibitions are offered. Directions: Take the Metro, line A or C to the Muzeum stop. Streetcar line 11 stops at Vaclavské Naměstí behind the museum. 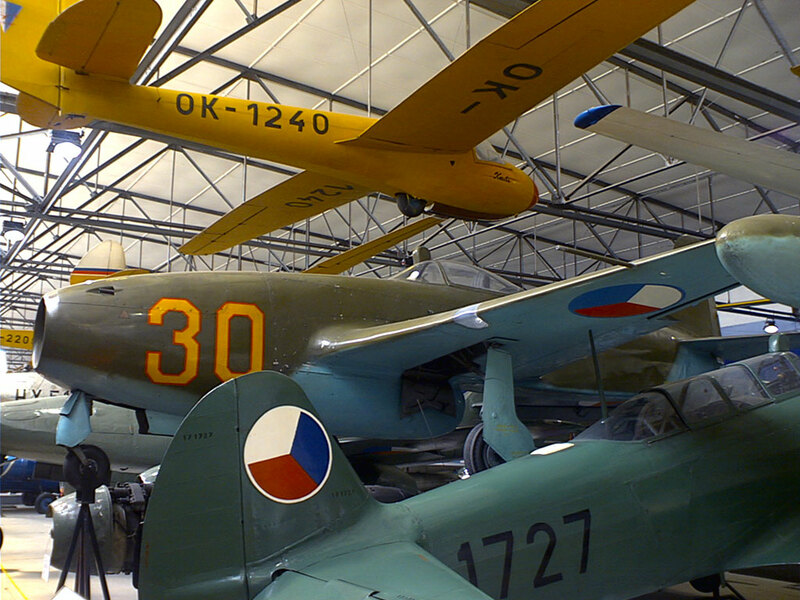 The aviation museum, located in Kbely outside of Prague is a must for everyone interested in aircraft history and development. One of the key attractions is the finely renovated Tupolev Tu-104A OK-LDA from ČSA, which is an important part of the development of the jet age. The national airline of Czech Republic was the only export customer for this airliner, which was the only passenger jet in service between 1956-1958. 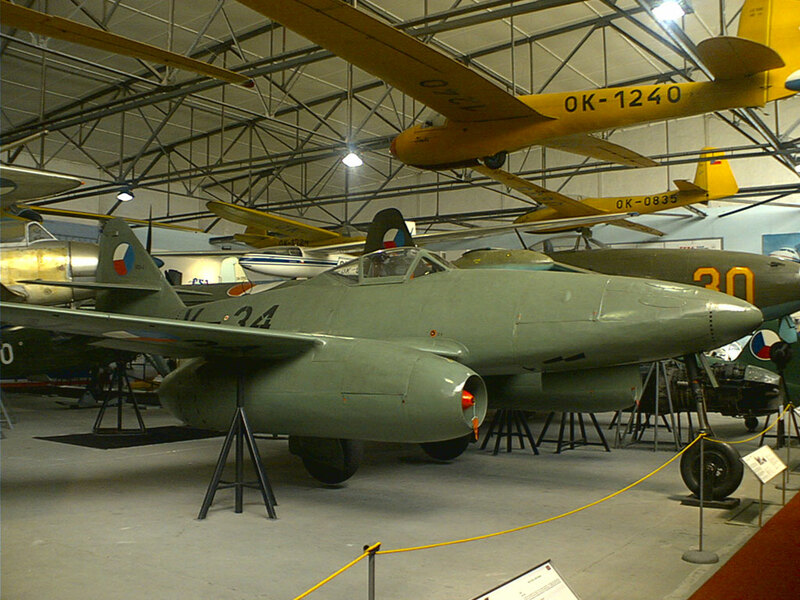 The museum also offer an interesting collection of military aircrafts such as the MiG-15 and an Avia CS-92, a license built version of the Messerschmitt Me-262, one of the first jet fighters in the world. 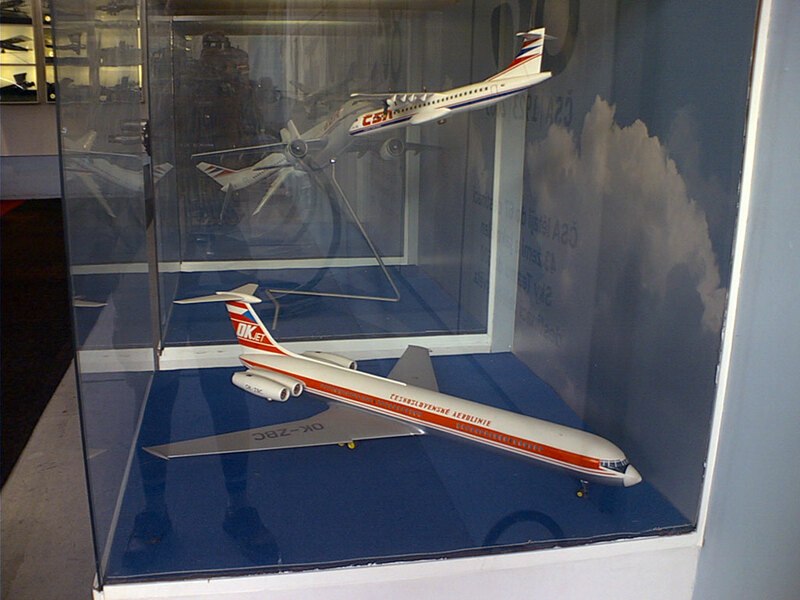 The civilian collection consists of different general aviation aircraft beside the aforementioned Tu-104A and also memorabilia and models of ČSA aircrafts. 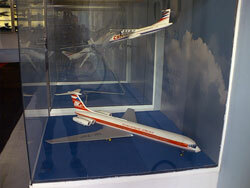 A rare model of the Avia Av-14 Super – a license built Ilyushin Il-14 with pressurized cabin is also on display. Take the bus to the stop “Letecké museum”. Use the “stop” button since the bus only makes requested stops here. 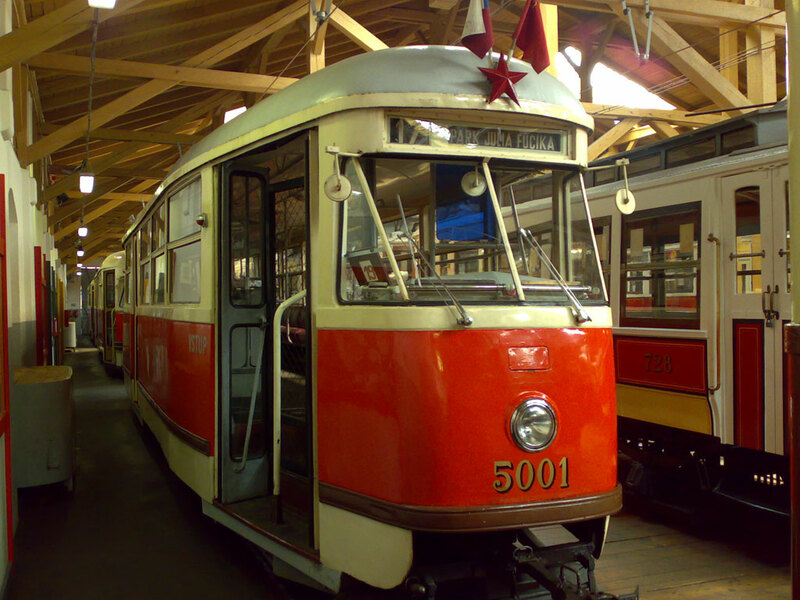 This museum, located in the former Střešovice depot offers an impressive collection of streetcars and buses representing the whole history of the transportation system in Prague. 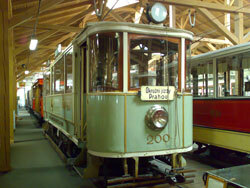 The first electric streetcars were introduced in 1899-1901 followed by bus service in 1908 and the different eras from the beginnings to later models represented by the Tatra T1, T2 and T3 is being shown. 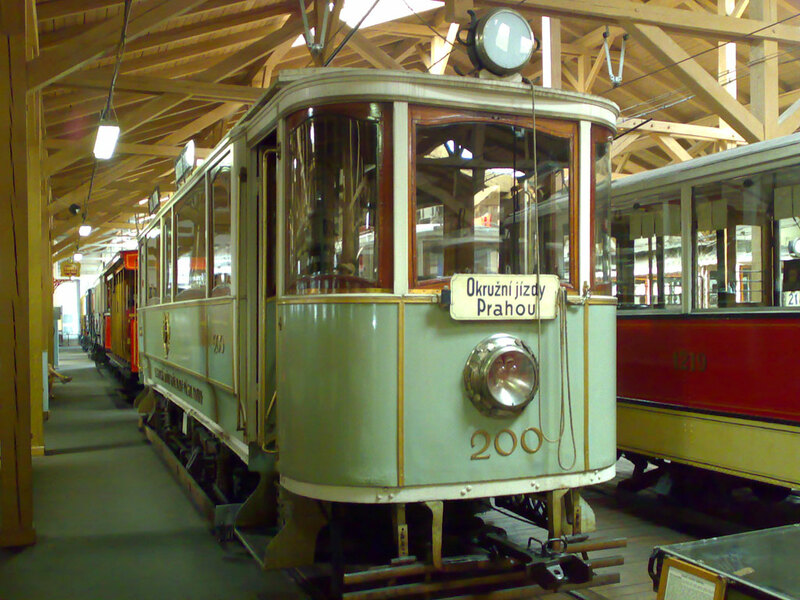 It is worth to mention the US connections with those cars since the three Tatra types are based on the PCC design; it was in 1951 the first T1 were delivered to the public transport company of Prague and the era of modern, efficient streetcar service began. 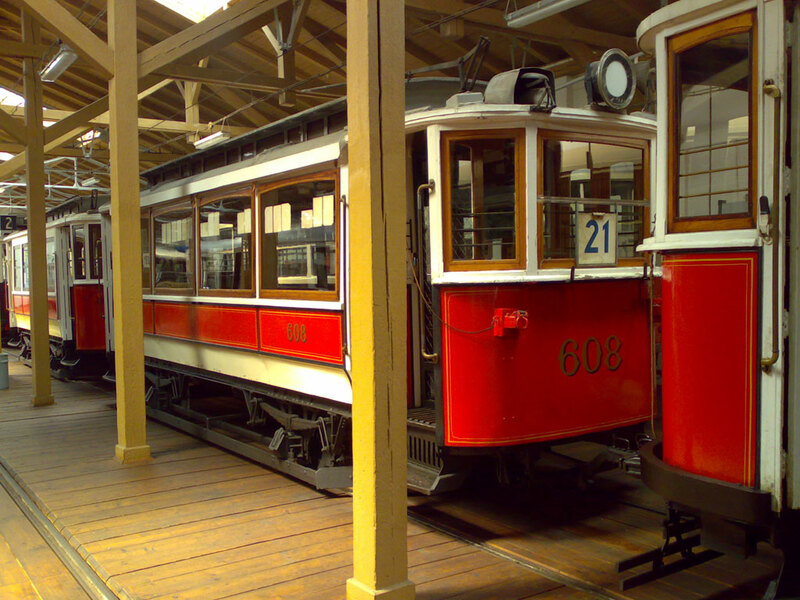 Some of the highlights of the museum include the very elegant saloon cars from the beginning of the 1900s with “maximum traction” bogies and a lot of equipment, controllers, radios and models and also a unique Tatra T400 trolley bus representing the era of such service in the city. Directions: Take the streetcar 1,2 or 18 to the Vozovna Střešovice stop (direction Petřiny). 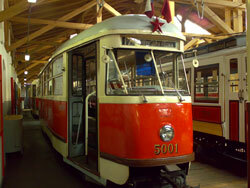 The Public Transport Museum offers this nostalgic streetcar line during the summer, operating with old, traditional cars of the ČKD make. 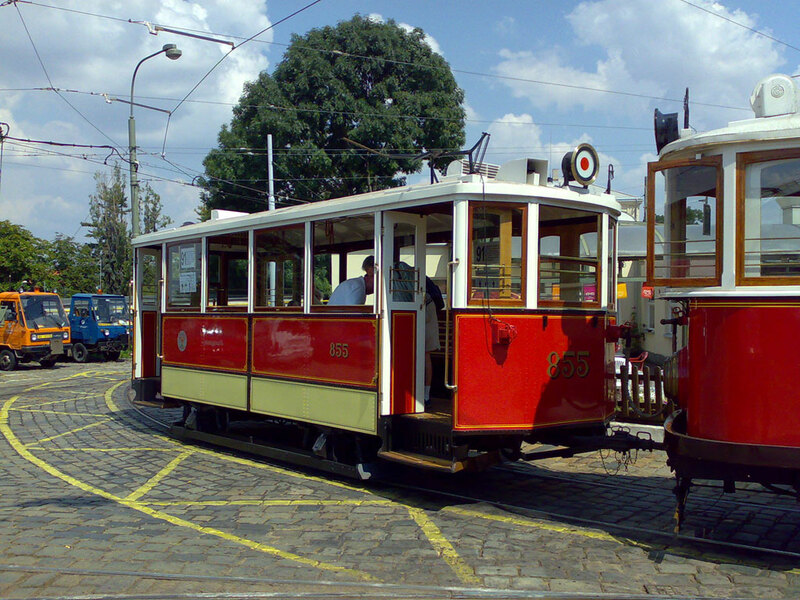 The line is excellent for touristic purposes since it travels from the museum to Výštavistě Holesovice with a route bringing it through the old town such as Malostranské Naměstí and to the newer areas such as Vaclavské Naměstí (Wenceslas Square) on its way to the terminal station. Regular transit tickets are not valid on the 91 line; tickets are purchased onboard the streetcar. This line offers an excellent way of getting a great overview of the city and is highly recommended. 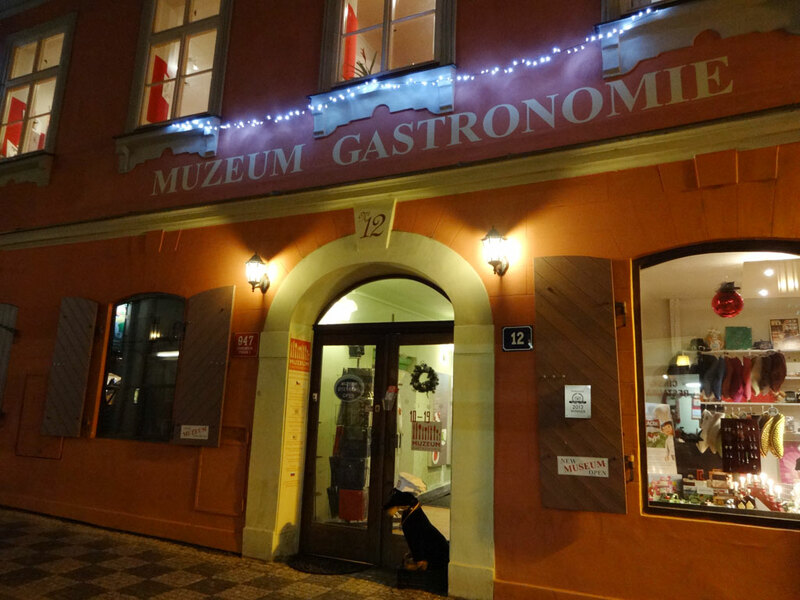 This is a newly opened museum fully dedicated to the development of cooking and cuisine with a focus on the domestic but also global sector. 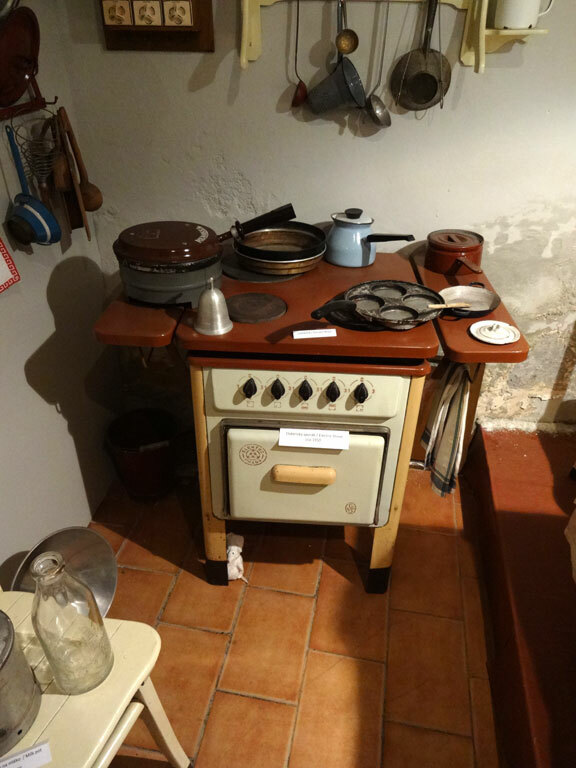 It contains a lot of interesting memorabilia and kitchenware, utensils and interesting explanations of everything. 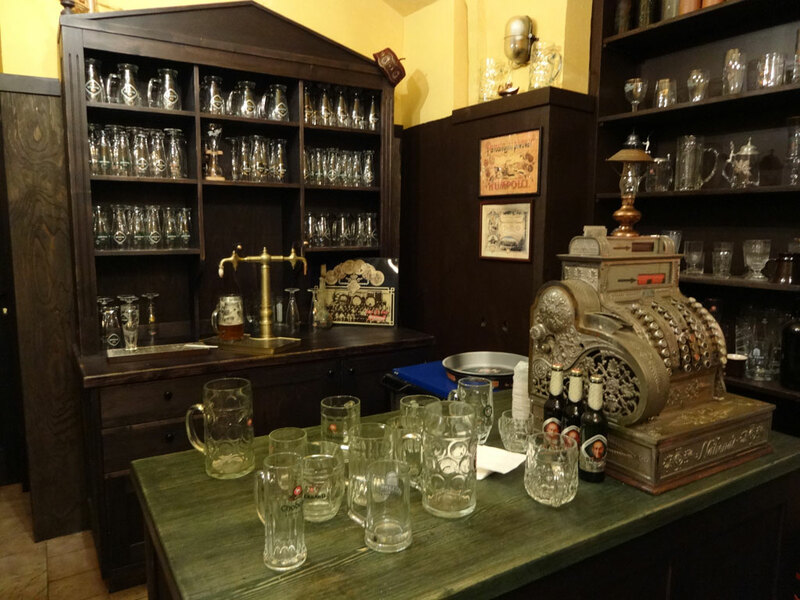 Different realistic environments of time typical kitchens and also breweries are created and there are a small gift shop selling books about Czech cooking and cuisine. It is a unique experience and close to the hotels as well. Directions: Nearest stop is Náměstí Republiky: Metro B, Tram 5, 8, 24, 26, Bus 207. The Praha Expo 58 former restaurant is well worth seeing for those who appreciate elegant modern and futuristic architecture as well as a great view of the city. 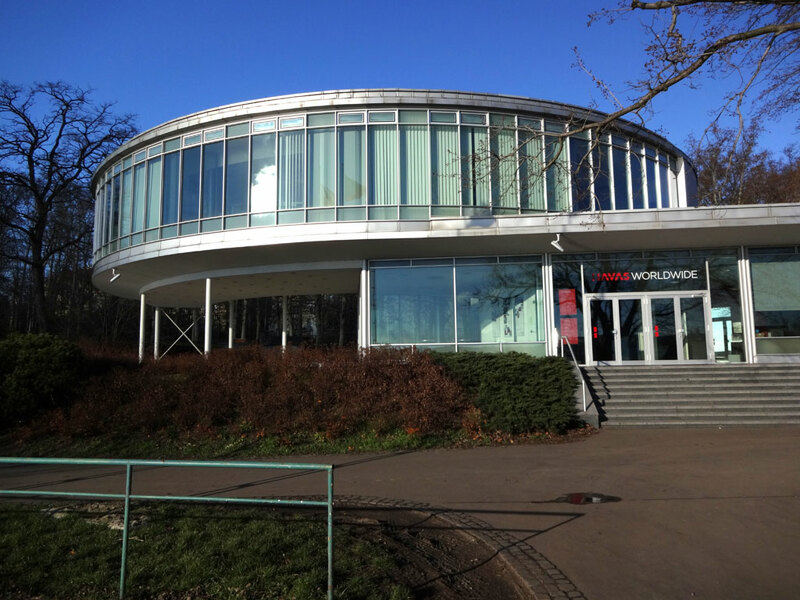 The building was originally constructed at the World Expo 1958 in Brussels and won prices for both design and cuisine, which also helped to establish the then Czechoslovakia on the world map. 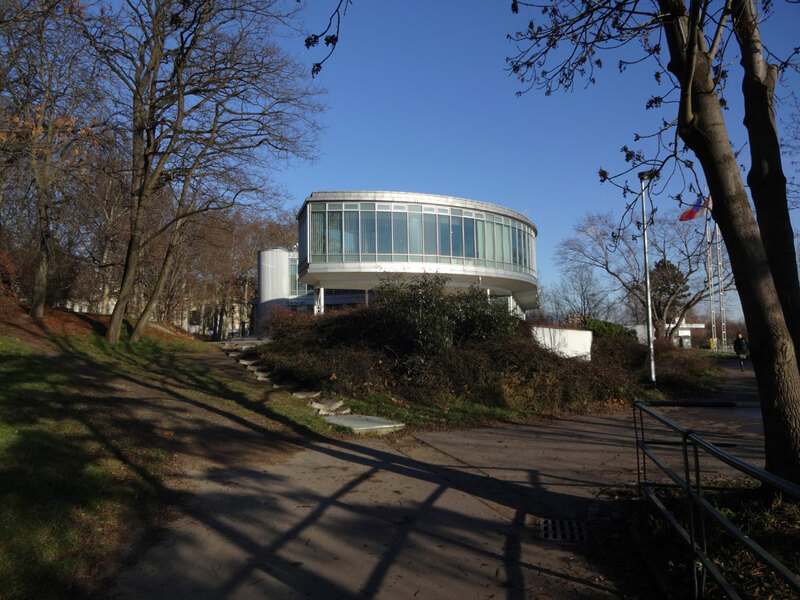 The establishment was dismantled and moved to the Letná park in Prague where it became the Expo 58 Restaurant complete with an outdoor terrace offering an excellent panoramic view during the summer. The restaurant was later gradually sinking into disrepair and was finally severely damaged in a fire, which brought about its closure. An Austrian company later bought the disused building and renovated the exterior and interior as an office, which means availability for exterior viewing but not dining. 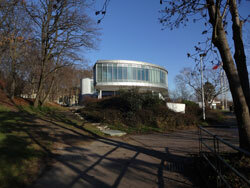 Despite this adaptive reuse, the building itself is well worth seeing and offers a very delicate modern styling. The recommendation is to walk through the Letná Park and to make a detour to the Expo 58, which is located at the eastern end of the grounds. 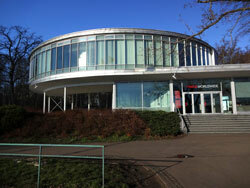 The Museum of Gastronomy provide more background information and old photographs of the Expo 58 restaurant and is described in a separate entry.